With the help of the team of experienced professionals, wide range of quality cable and wire processing equipment and a reliable network of international suppliers EUROKUBAS has been delivering best result to it’s customers ever since 2002. Based in a near - shore lower cost country within EU EUROKUBAS offers its customers great value for a competitive price. Focus on your core competencies and let us take care of the cable assemblies. EUROKUBAS has been heavily investing into process automation to keep the work flow cost efficient and maintain high quality standards. Eurokubas manufactures quality custom cable assemblies in medium to high volume batches and deliver to customers’ facilities exactly when they need it and how much they need it. When you think cable assemblies – think Eurokubas. All company processes are monitored with the help of ERP to ensure 100 per cent quality, material and job traceability as well as delivery on time to our customers. Quality is our point of view. We aim at 100 per cent quality harness and cable assemblies. Eurokubas offers flexibility - manufacturing custom cable assemblies and harness in medium volume batches and deliver to customers’ facilities exactly when they need it and how much they need it. 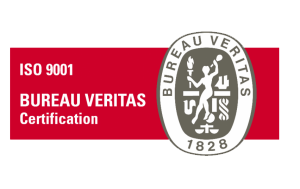 EUROKUBAS is ISO 9001 certified since 2005. We work in the line with both IPC/WHMA-A-620 requirements and customers’ demands, take into consideration their needs and find the best possible solution every time. We base our customer relations on a WIN-WIN principle. EUROKUBAS is a skilled custom cable assemblies’ manufacturer. Our employees’ qualification and expertise ensures customer satisfaction even in the most complicated and delicate projects that require exceptional precision and skill. With the help of the team of experienced professionals, wide range of quality cable and wire processing equipment and a reliable network of international suppliers EUROKUBAS has been delivering best result to it’s customers ever since 2002.